The BrightBytes Student Success module leverages historical data and research-based predictive analytics to determine a student’s risk of not meeting the key milestones along the K-20 continuum. The BrightBytes Student Success module individualizes dropout prediction and prevention, and informs postsecondary readiness across two advanced, research-based algorithms. The module provides educators with predictive measures to ensure students graduate from high school and master the skills necessary to thrive in a college environment. Get more insight with our guides, tips, spotlights, and more. Learn more about the Student Success module! 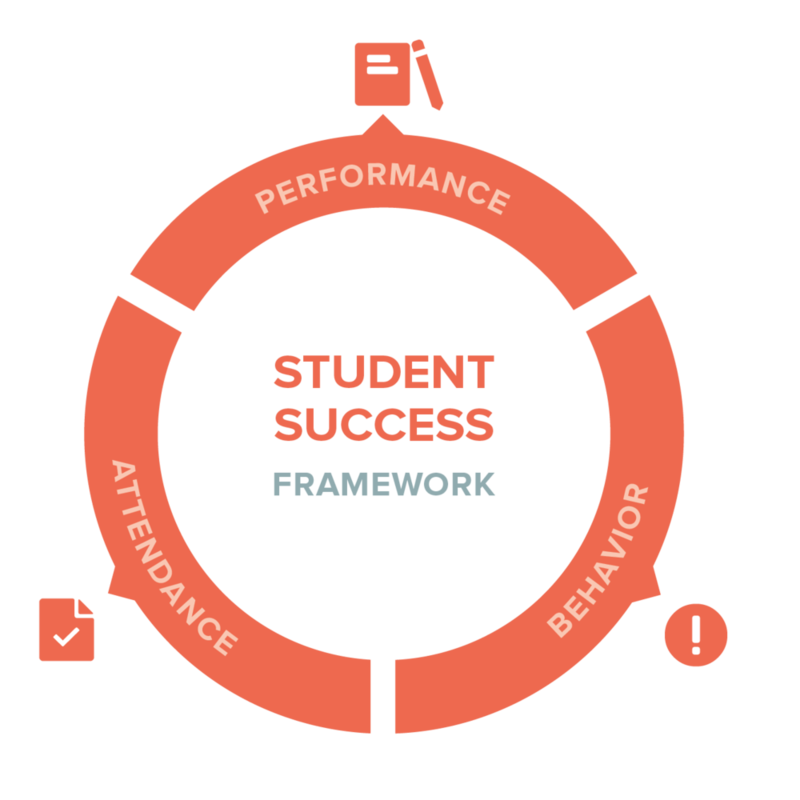 The Student Success framework consists of three domains supported by 31 Success Indicators associated with the risk factors within each organization’s model. lf there is one thing we do in education, we take care of children. When you know that a child needs something, you do your best to get it to them. The BrightBytes Student Success module changes the emphasis of intervention from nebulous to an individual student. With this solution, we have an effective and efficient way of identifying at-risk students earlier. BrightBytes’ research-based predictive algorithm gives us the ability to customize the identification of student needs and provide resources that ensure student success. It provides us with a micro and macro view of our district, and allows us to make more data driven decisions and connect research to practice. Clarity enables us to have important conversations with our districts about data.